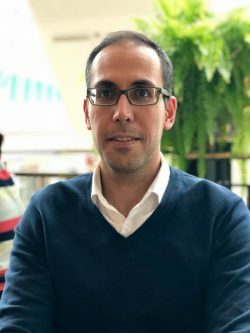 Maziar Peihani is a research fellow with the International Law Research Program at the Centre for the International Governance Innovation, a Canadian think tank focused on issues of global governance and law, economics, and politics. Maziar’s research explores topics related to financial law and regulation, including international regulation of banking, cross-border bank resolution, and sovereign debt restructuring. Prior to joining CIGI, Maziar was a post-doctoral fellow in the Centre for Banking and Finance Law at the National University of Singapore. He received his PhD from the University of British Columbia and was a guest lecturer and teaching assistant for various law courses at UBC. Maziar joined the Hennick Centre for Business and Law throughout the 2018 fall term as a visiting fellow. At the time of his fellowship, Max Steiner was a third-year JD/MBA student highly interested in business law, and real property as well as an elected executive on the JD/MBA Students’ Association, Schulich’s Real Estate & Infrastructure Club, and Osgoode’s Real Property Students’ Association. A co-founder of several businesses, such as the Yorkville Antiques Store, Muzeum, and leading Toronto precious metals dealer, Global Bullion Suppliers. 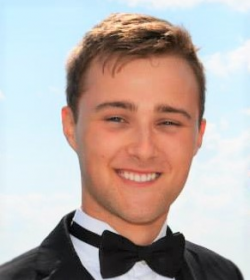 Max worked his second summer in commercial real estate asset management with GWL Realty Advisors. Prior to joining Osgoode, he earned a Specialized Honours in Philosophy and Certificate in Professional Ethics from York University. In his spare time he enjoys brewing beer, fishing, following public companies, and reading about business history. 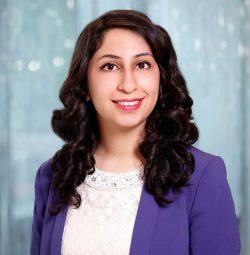 At the time of her fellowship, Bita Ghiasi was in her second year of the JD/MBA program at Osgoode Hall Law School and the Schulich School of Business. During her studies, she has been involved in clubs across both schools, including the Osgoode Business Clinic and the Schulich Investment Banking Club. This past summer, Bita worked as a Summer Associate in Sales & Trading at Scotiabank. Prior to commencing the joint program, Bita obtained her Bachelor of Business Administration from Schulich with a specialization in Finance. She then worked in management consulting at PricewaterhouseCoopers, working closely with clients across several competencies and industries, with a focus on Financial Services and Retail. Ankita Gupta focuses on corporate governance and climate change risk. She holds a Bachelor of Business Administration, Specialist in Finance and Strategy. In the past, she has worked in accounting, finance and marketing roles at Deloitte Canada, Unilever and Hershey. 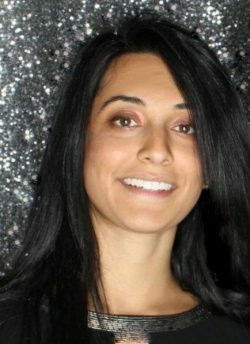 She spent the greater part of last year supporting Professor Anita Anand and Professor Poonam Puri, researching insider trading in Canada and the use of the corporate veil by MNCs and continues to be actively involved in a research capacity in these projects alongside the CCLI Initiative with the Hennick Centre for Business and Law. 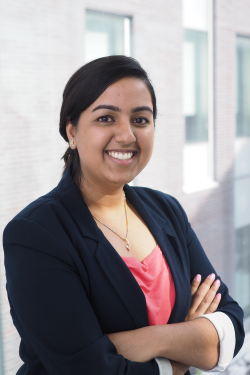 Ankita is currently serving as a Junior Editor on the Transnational Legal Theory Journal and Junior Caseworker with the Osgoode Business Clinic. In her free time, Ankita volunteers with the United Nations and serves as the Chair of the Board of Directors for her undergraduate management student association. Graham focuses on securities regulation and climate change risk. Originally from the small town of Sussex, NB, Graham is a third-year student in the JD program at Osgoode Hall Law School and holds an Honours Bachelor of Business Administration degree from St. Francis Xavier University. Graham has worked as a summer law student for a large public oil & gas company in Calgary, AB as well as a large private shipping company in St. John’s, NL, and is currently summering with Stewart McKelvey in Saint John, NB. In his spare time, Graham enjoys watching and playing sports of all kinds. Graham has played for the Osgoode intermural softball, basketball and volleyball teams and currently plays for a recreational softball team in the Greater Saint John Area. Maha Mansoor focuses on climate change and corporate behaviour. She holds an HBSc in Forestry and the related disciplines of Geography and Environmental Studies from the University of Toronto where she spent much of her undergraduate time focusing on the impact of certification systems on business behaviour. In 2016, she published a research article related to private regulation in the bioenergy sector and maintains a strong research role in this capacity. In her free time she acts as a board member for her local environmental association, OakvilleGreen Conservation Association, as well as a board member on her local Toastmasters association. 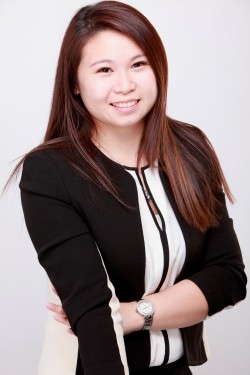 At the time of her fellowship, Wendy was a third-year JD candidate with a strong interest in corporate social responsibility and cap and trade systems. During law school, Wendy was involved in a number of initiatives, including the Osgoode Business Clinic, volunteering with Pro Bono Students Canada’s Civil Litigation Project,and participating in the Environmental Advocacy Moot workshop. Following her second year at Osgoode, Wendy spent her summer at the Ministry of the Environment and Climate Change Legal Services branch. In her free time, Wendy enjoys travelling, horseback-riding, strolling through parks with her dog and binge-watching the tv show “How to Get Away with Murder”. 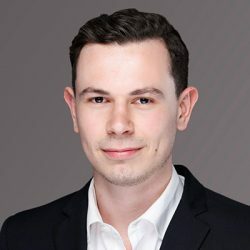 At the time of his fellowship, Vincent was a second-year JD/MBA candidate in the three-year program at Osgoode Hall Law School and Schulich School of Business with an Honours Bachelor of Commerce degree, with a Finance & Economics Specialist, from the University of Toronto’s Rotman Commerce program. 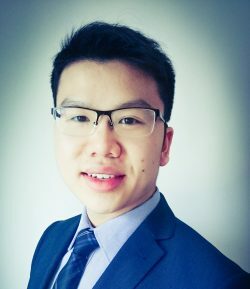 In the first year of his JD/MBA program, he gained experience at numerous clinical programs, including Osgoode Business Clinic, IP Osgoode Innovation Clinic, Osgoode Venture Capital Clinical Project, PBSC, and CLASP, as well as being a Research Assistant at Schulich. He was also Business Manager of Mock Trial 2015 with leadership positions in various student organizations at both Osgoode and Schulich, including Obiter Dicta, Schulich Finance Association, and the JD/MBA Students’ Association. Vincent was also part of that year’s Davies’ Corporate/Securities Law Moot team at Osgoode and the Global Leadership Program at Schulich.